Accumetrics, Inc., founded in 1992, became a part of PCB Piezotronics, Inc., in 2013. The company was born out of a passion for working with customers to solve problems and grew thanks to the strong relationships that developed. We don’t just sell products – we deliver solutions. As a pioneer and global leader in rotor telemetry technology, we design, assemble, and support digital telemetry systems that transmit sensor data from rotating structures using wireless techniques. We were the first company to develop innovative ground fault detection techniques, and twenty-five years later we are still the go-to for ground fault detection technology. 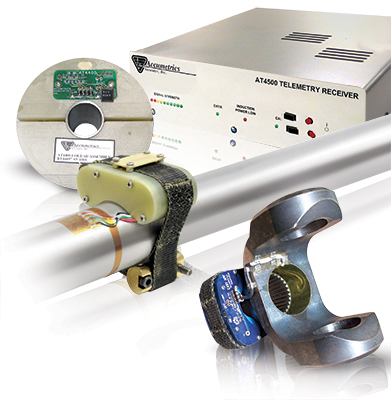 Accumetrics’ other robust and dependable solutions range from single channel products, such as strain gage torque or temperature measurements, to advanced multichannel systems that transmit data from hundreds of sensors, all while preserving the integrity of data even in environments with high levels of electromagnetic interference. Our engineers work as a team directly with our customers to understand the inherent problems and deliver solutions.